Getting to the first page of search results doesn’t happen by accident. Now that Google is using artificial intelligence to read and understand the content on your website, it’s more important than ever that you start focusing on your Search Engine Optimization (SEO) strategy. Using the right mix of keywords, technical SEO practices, and ongoing, topic-cluster focused website content, you can get to the first page of Google and maintain your position there. For websites with up to 50 pages. Review & Keyword Adjustment of Existing Content. The world of social media is changing daily and keeping up with this fast-paced marketing channel can sometimes feel impossible. Your company’s success is dependent on your ability to create helpful, interesting, and engaging content across Facebook, Instagram, Twitter & LinkedIn with a consistent cadence. Our Social Media package is designed to supplement existing content that you post internally. When your week gets busy, you can rest easy knowing that your social channels are being updated with high-quality content. Thinking you should advertise on Google, Facebook, Instagram, or LinkedIn? We can help you develop the right strategy and execute your advertising campaigns. One of the most important parts of any successful campaign is the continual evaluation of how it’s performing. By trusting your paid ad placement to the team at ONEFIRE, you will rest easy knowing that your ads are running at peak performance. You decide your advertising budget and we take care of the rest. Identification of Keywords, Target Audience, Location, etc. Consulting & Advice on campaign landing pages on website. Getting traffic to your website is one thing, but capturing the contact information of those who visit is another. When it comes to converting your website visitors into valuable leads for your business, you need to have the software, experience, and strategy in place to get the job done. 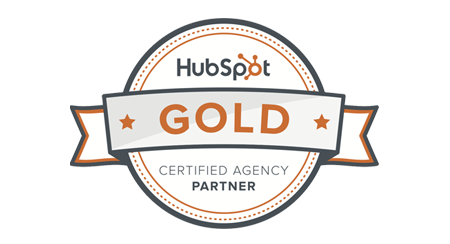 By using powerful tools from HubSpot and ONEFIRE, you’ll have everything you need in place to start converting your visitors into leads. Small businesses need a website that looks great and functions across all modern devices, built to perform well in search. ONEFIRE’s approach for creating a new website is called Growth Driven Design, where we launch a new website for you within the first 60 days and then measure and improve it over time. Nobody carries more clout with your prospective customers than the word of mouth advertising that happens from your existing customers. By producing a video that lets one of your best customers share their story of what it was like to work with your business, you’ll be able to instantly gain credibility. Your video can be embedded on your website, emailed out to your mailing list, posted on social media, shown at trade-shows, used in presentations, and so much more. Show off your business with a 360° virtual tour of your facility. Website visitors are looking for a way to experience your business before they make the trip. Showcase your restaurant, retail shop, gym, or campus with a virtual tour. Our platform allows your prospective customers to navigate around your property and check things out for themselves. Plus, when viewing your business on a mobile phone, visitors to your website can enter Virtual Reality as if they’re actually standing in your business. Want to discuss all of your options?